Last night The Revenant did extremely well at the Baftas by sweeping up Best Film, Best Cinematography, Best Sound, Best Director and Best Actor. Once you have seen this amazing film you won’t be surprised by how well it is doing. Here are a few amazing facts though that have all contributed in making this film a truly outstanding film. 1. The film is based on novel with the same title written by Michael Punke which is based on a true story about Hugh Glass surviving the wilderness in the 1820’s. This book was already remade in 1971 in the western film “Man in the Wilderness” that starred Richard Harris. 2. Because director Alejandro González Iñárritu and cinematographer Emmanuel Lubezki would only shoot in natural light, it ended up taking them 9 months to complete which the Canadian snow didn’t stay around for. They eventually had to be move the shoot to southern Argentina where there still was snow. 3. 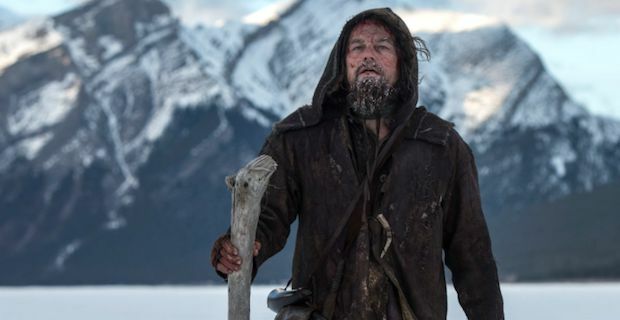 Leonardo really got into character for this film by studying ancient healing techniques and 2 native american languages, Pawnee and Arikara along with learning how to shoot a musket and build a fire. 4. The raw meat was real. While Leonardo had the option of eating a fake live, he didn’t believe it was realistic enough and opted to eat a raw bison liver instead. Oh, and he is a vegetarian in real life. 5. Sean Penn was the first choice to play John Fitzgerald but had scheduling conflicts so Tom Hardy picked up the role. He gave up the action film Splinter Cell and eventually had to drop out of Suicide Squad in order to finish The Revenant. 6. The movie was shot chronologically over the 9 months. 7. Leonardo was offered the role for Steve Jobs but chose this film instead. 8. Leonardo was approached for this film partly due to his passionate stance on environmental issues and the connection he had with nature. While all of these facts may seem small on their own, they all played a vital role in the creation of this breathtakingly beautiful and powerful film.